The property had been given by the U.S. government to the Jesuits in the 1880s for use for churches and cemeteries, according to remarks in a YouTube video by Jesuit Father John Hatcher, president of St. Francis Mission. “At the beginning of the mission, we had 23 mission stations,” Father Hatcher said. “But over the years as the people moved off the prairie and into cluster housing, those churches were closed because they were considered unnecessary.” Other properties never had churches built. The property, totaling about 525 acres, is dotted throughout 900,000 acres on a Rosebud reservation in the south-central portion of the state, bordering both the state of Nebraska and the Missouri River. 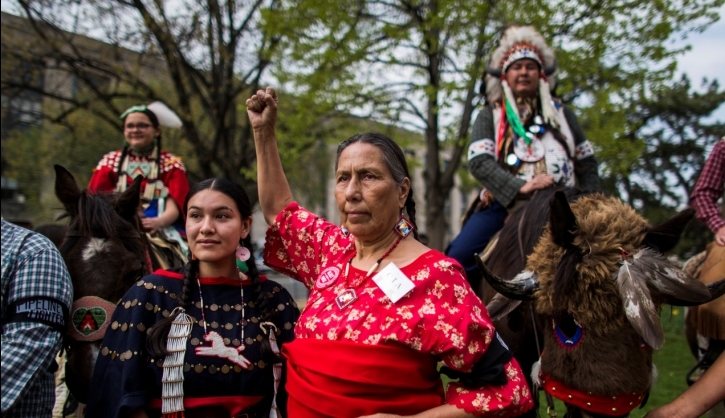 Rodney Bordeaux, chief operating officer of St. Francis Mission, said that when he started work there five years ago, the land transfer, having been initiated by Father Hatcher, was “stalled.” He attributed it to finding the right office within the federal Bureau of Indian Affairs to follow through. 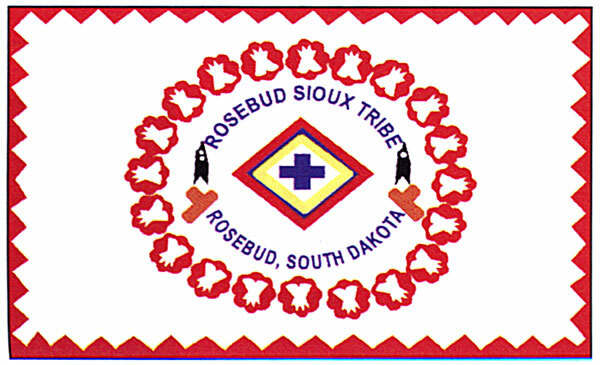 There are about 25,000 people enrolled with the Rosebud Sioux, 15,000 of whom live on the reservation. Responses to "Jesuits to return 525 acres of South Dakota land to Rosebud Sioux Tribe"
Excellent ... it's long overdue! They also should be compensated monetarily! About time to give back what was once stolen. I'd love to see much more land returned to the custody of the people who lived there and respected it. How about the Black HIlls next? My Kills in water family let the st francis mission use 10 acres of land for church use if they giving it back it should go back to the Family that let them use it not the tribe the Tribe is a Federal corporation stealing from we Natives if the tribe gets it its just giving it to the Federal foreign Government ! 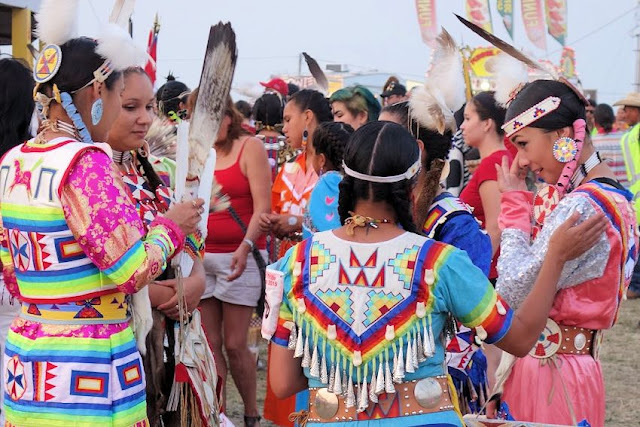 give it to the People you took it from Rodney Bordeaux once said we need to get over the Doctrine of Discovery how can we when they continue to use it on we Natives ! to steal our resources and never gave a family a chance to use the Land ! So much Corruption in the Tribal government the Tribe is selling shares of our land with out the original alottes saying its ok they just do as they want like i said they are a Arm of the Federal government give the land to the rightful owners ! The Tribe is not doing right with our Land they Damaged our water by letying it be fertilized with so much chemicals from ranchers pesticides in our water who knows what other damages have been done to our minerals reserved for us GIVE IT BACK LET US LIVE LIKE EVERYONE ELSE TIME TO END THE FEDERAL TRUST OF THE FOREIGN FEDERAL GOVERNMENT HOLDING ALL OUR RESOURCES SAYING THEY TAKE CARE OF US THEY CARE OF EVERYONE ELSE WITH OUR RESOURCES AND LAND AND WATER WE THE ORIGINAL LAND OWNERS ARE THE HAVE NOTS WHILE EVERYONE HAS ! Homes should be built on these grounds and GIVEN to the people of the tribe, NOT the tribal government, THE PEOPLE! That's a little less than a square mile, but a good gesture. Now I wonder if the USA will block it, or take it away. I wish this could be presented in a form I could read.